THESE two Bigg Boss 11 contestants to team up for Ekta Kapoor’s web series? Bigg Boss 11 managed to keep the viewers hooked on to their television sets for 105 long days. The Salman Khan hosted show entertained them with constant drama and fights. Small screen’s very own ‘Angoori’ Bhabhi, Shilpa Shinde won the show in an exciting grand finale. The popular actress defeated Puneesh Sharma, Hina Khan and Vikas Gupta to lift the winners’ trophy. The popular reality show is a perfect platform for the contestants to earn work in the industry. Many housemates inside the BB house end up working on the small screen after their stint in the show. Read: THIS Bigg Boss 11 contestant to be part of Rohit Shetty’s Khatron Ke Khiladi? Two BB11 contestants are all set to collaborate for an upcoming web series. We are talking about Vikas Gupta and Priyank Sharma. Interestingly, Priyank and Vikas’s changing equation became one of the most talked about things in the show. 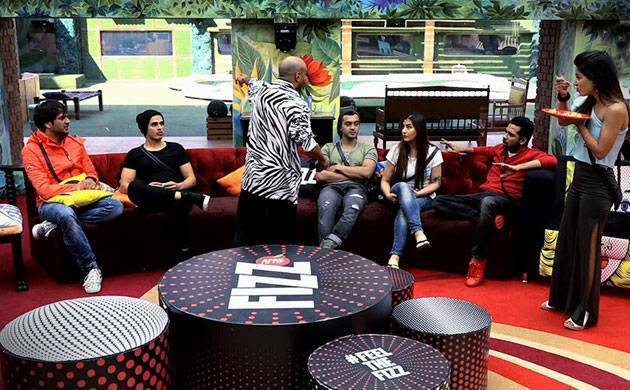 Priyank had to leave the show when he assaulted Akash Dadlani for misbehaving with Vikas Gupta. Things changed after Priyank entered the show as a wildcard contestant. The two friends had their own differences but finally reconciled while completing one of the tasks assigned by Bigg Boss. While talking to DNA, Vikas confirmed that both of them are doing a web series for Alt Balaji, the digital platform of Ekta Kapoor. He added that Priyank will act in the web series. Earlier grapevines were buzzing with the news that Priyank will star in the third season of Ekta Kapoor’s Naagin. These rumours were squashed when reports of Pearl V Puri playing the lead role started doing rounds on the internet.